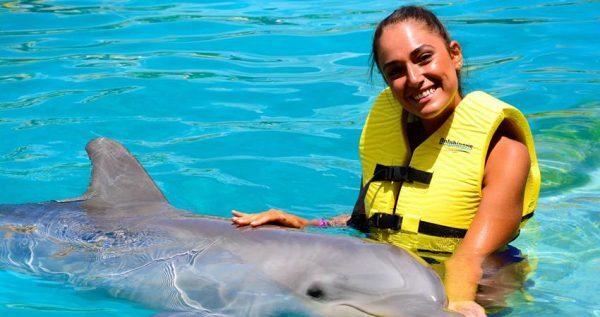 If you’ve decided to vacate in the beautiful city of Turunc, and you want to see all of its delights, you definitely shouldn’t miss our Turunc Meet With Dolphins tour. These amazing animals will give your vacation a whole new dimension and it will make you holidays unforgettable. 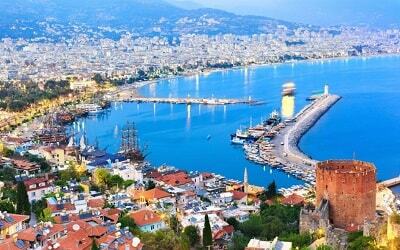 Turunc Meet With Dolphins Tour starts with a complementary pick-up from your hotel, followed by a comfy twenty minute long drive to Marmaris where the Meet the Dolphins program takes place. 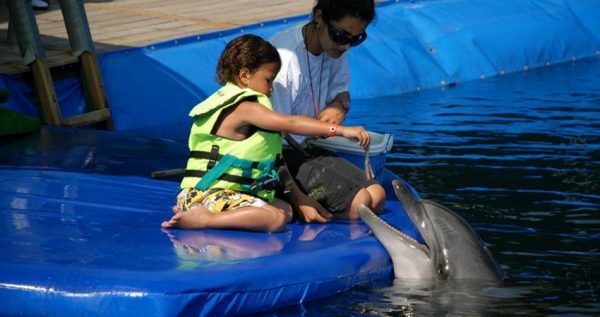 This wonderful program will allow you to have your own personal encounter with a dolphin, feed it, touch it and play with it. You will also get to learn a special handshake that the dolphins and their trainers use and how to dance with a dolphin. 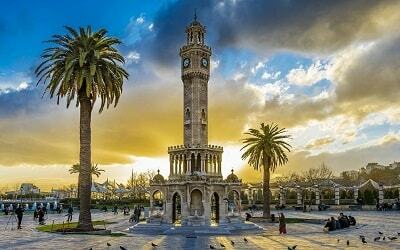 If you’ve decided to take this lovely tour don’t forget to bring your swimsuits, suncreams, towels, cameras and hats. This terrific tour is suitable for all age groups and it is available for reservations every day. 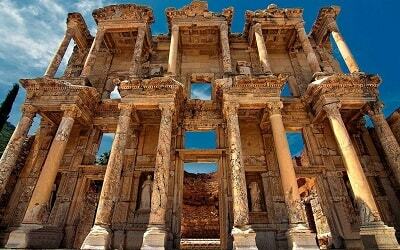 The price of the tour covers one way transfer from Turunc to Marmaris, but don’t worry, as our driver will pick you up at the end of your tour and drive you to Marmaris bus station. 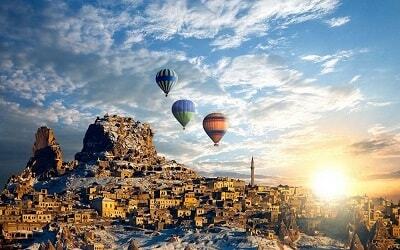 There you can catch a dolmus back to Turunc. 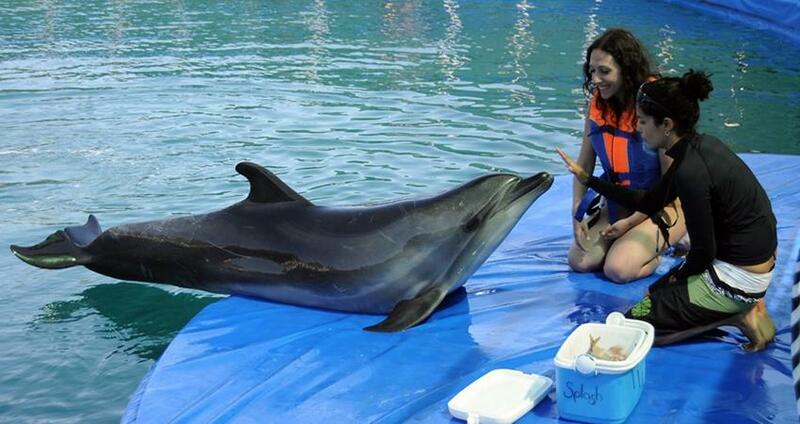 Don’t miss this great opportunity to get acquainted with these amazing creatures. 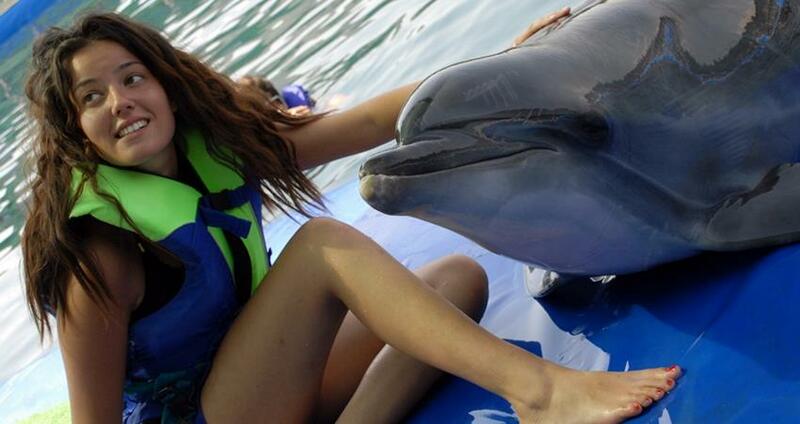 Book your Turunc Meet With Dolphins Tour now and enjoy your holiday in Turkey. 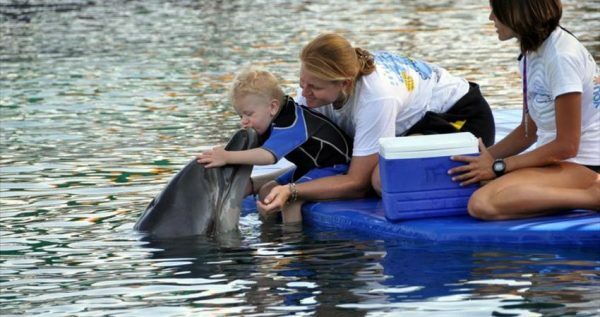 Dolphins are well known as exceptionally intelligent creatures. They are as smart as apes, which is an incredible on its own. 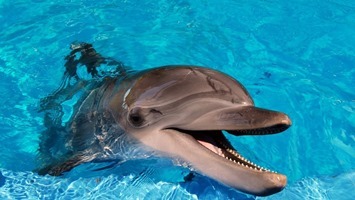 With time brains of dolphins evolved and today their brains are very similar to human brains. They have their own way of communication, their way of preserving energy, and they are incredibly quick learners. They are also very social, they live in groups and hunt and play together. 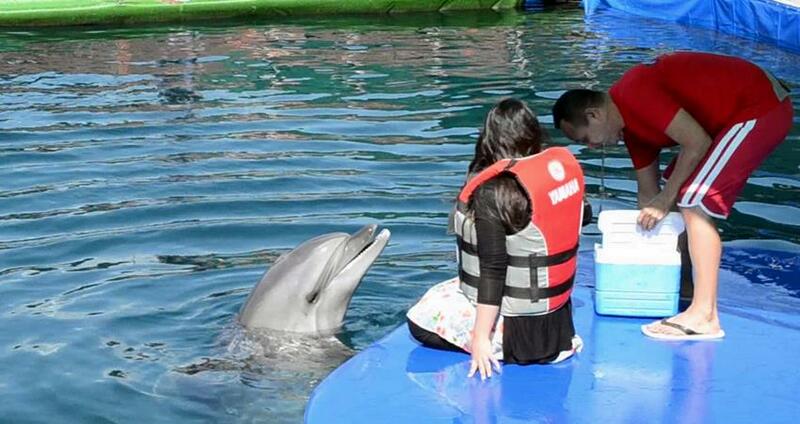 Dolphins in our park are use to human contact and they are fun to be around. This excursion is also a good reminder for us to take care of our habitat more carefully. These great mammals have very uncertain future, because humans are their natural enemies. Fishing, hunting and pollution are main reasons why some dolphin species are near extinction. Once you see these amazing creatures up close and personal, you will become more aware of the nature around you, and more compassionate to the animal world in general. Swim With The Dolphins Program can be also interesting for you. 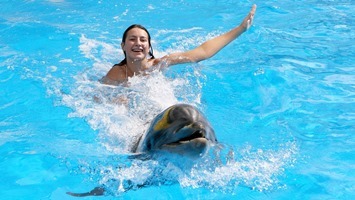 Turunc Meet With Dolphins Tour starts with a free pick up from your hotel in Turunc, followed by a short and cozy drive to the Dolphin Park. 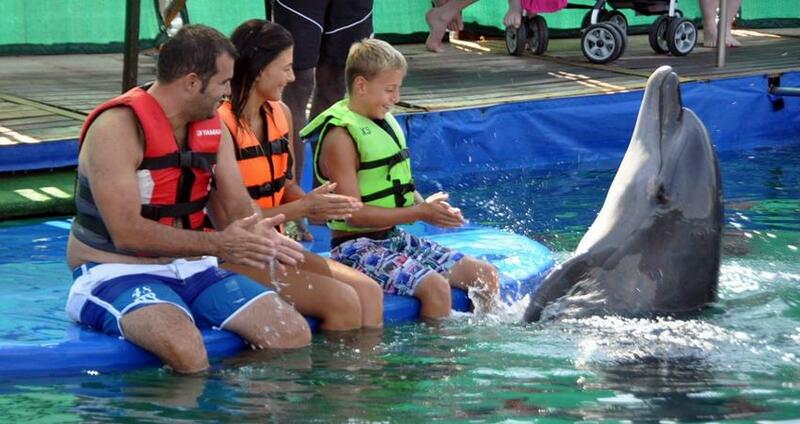 As Excursion Mania we offer two different sessions per day, so you can choose the time that suits you best to visit the Dolphin Park. After you enter the park you will be greeted by the Dolphin trainer, who will tell you something about the rules and regulations that you will have to obey while you are in the park. For example, you mustn’t apply any sun cream and lotions on your skin before meeting the dolphins, and you should always be gentle with them. We should note that the entry fee is included in the tour price. The park has several changing rooms where you can change into your swim suits, and once you are done changing you will also be provided with lifejackets. Once you have properly prepared, you can go to the pool and meet the dolphins. 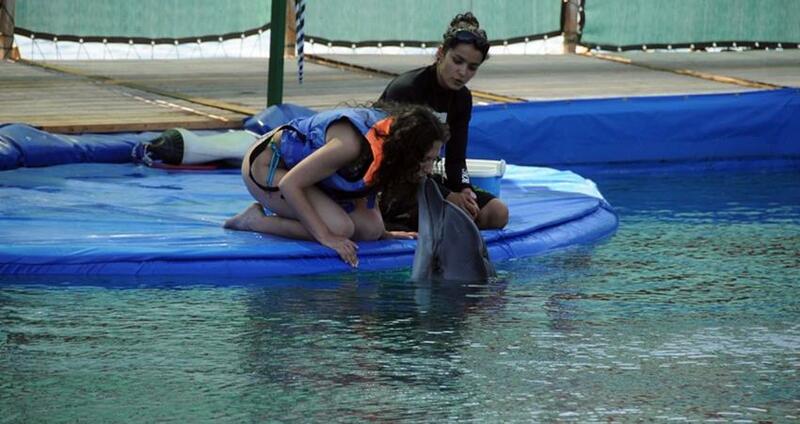 You will sit on the platforms next to the pool while you interact with the dolphins. In the meantime, our instructors will tell you more about these amazing creatures and their habits. You will have the opportunity to feed the dolphins, play with them and watch them do some great tricks. This fun and memorable experience lasts for 30 minutes. 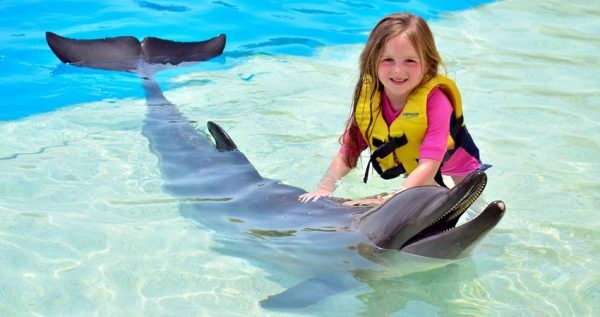 During your playtime with the dolphins, our professional photographer will be taking pictures and videos of your interaction. After your session, you will get the chance to buy a DVD with your adventure on it. Once Turunc Meet With Dolphin Tour ends, our driver will take you back to the bus station, so you can catch the next dolmus back to Turunc.